Grand Manor shingles say it all with a style and grace that is exceptional from every angle. 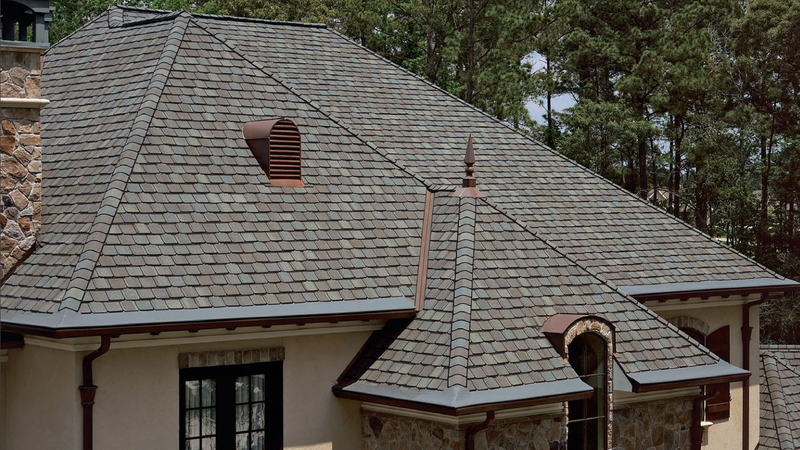 Evoke an old world charm with these beautiful, slate-like roofing shingles which will uniquely showcase your home. The best of the best, this roofing shingle is an ideal and elegant choice for homes with steep-sloped roofs. Available in a variety of colors, this roofing shingle gives you many options. Ask your roofing company about this impressive shingle.